Bright lights, loud noises, and staring at a screen all day can all easily start a headache, but what does it take to end one for you? While pain medication has a chance of helping, there are other more natural and safer options for relieving your headaches. 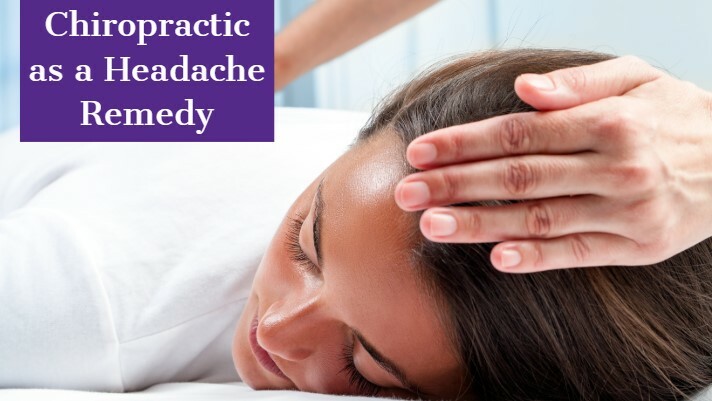 The Journal of Manipulative and Physiological Therapeutics published a study suggesting that chiropractic care improves migraine and cervicogenic headaches. According to the Duke University Evidence-Based Practice Center, “adverse effects are uncommon with manipulation”, making it a safe option. Any Doctor of Chiropractic should be able to evaluate your symptoms and decide if chiropractic care can help you move on from your headaches. In addition to performing a spinal manipulation, Doctors can: provide nutritional guidance, advice on posture, exercises, and relaxation techniques. Through just one or a combo of these treatments, curing your chronic headache pain should be simpler than relying on pain medication. Another study, this one also published by The Journal of Manipulative and Physiological Therapeutics, found that after four weeks, patients experienced a “sustained therapeutic benefit in all major outcomes in contrast to other patients”. While chiropractic care might most commonly make you think of back pain and soreness, chiropractic care can solve many medical issues. In addition to headaches, a Doctor of Chiropractic can relieve neck pain, back pain, fibromyalgia, and stiffness. Just solving your headaches sounds like a great remedy, but for this relief to be truly helpful, it’s important to also understand what is causing them. Reading about some of the most common causes and ways to prevent headaches can help, but so can asking your Doctor of Chiropractic. Be conscious of your body and start a conversation with your regular care Doctor or Doctor of Chiropractic when you see them next. If you are interested in chiropractic care please contact us online or give us a call to set up your first appointment.